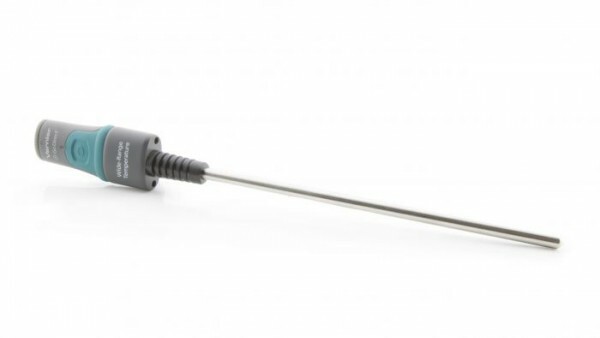 Produktinformationen "Go Direct® Wide-Range Temperature Probe"
This rugged temperature probe features a wide temperature range, from –20°C to 330°C. The high upper limit of the sensor allows for melting point determinations of most organic compounds. It uses platinum RTD (Resistance Temperature Detector) technology to establish a ±0.5°C accuracy or better, as well as excellent stability and repeatability. Each unit is individually calibrated, and the calibration is stored on the sensor. It is designed to be used as you would use a thermometer for experiments in organic and inorganic chemistry, physics, biology, Earth science, and environmental science. Weiterführende Links zu "Go Direct® Wide-Range Temperature Probe"
Garantie(Jahre) "Go Direct® Wide-Range Temperature Probe"
Weitere Info "Go Direct® Wide-Range Temperature Probe"
Kundenbewertungen für "Go Direct® Wide-Range Temperature Probe"